Do you get stressed trying to prepare for a family photo session? As a momma of four girls I admit wholeheartedly that I do! 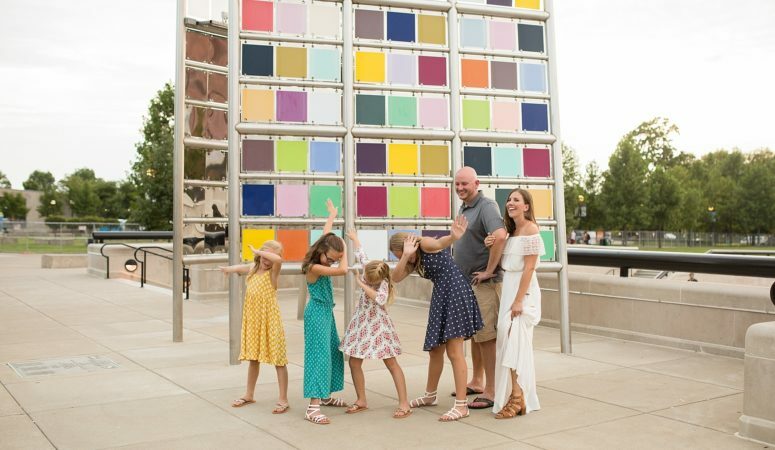 So, I have family session preparation tips right here for you! My goal is for these tips to help you feel more prepared, relaxed, and less stressed. In addition to these tips, I always contact you before a photo session to brainstorm thoughts and ideas in advance. I am here to serve you and help you get some amazing photos that document this precious time in your life! Pull colors from the outfit with the most patterns or color. Then pick others to coordinate from head to toe (look at shoes!!) Have all clothing and accessories for the session finalized at least 2 days before. Shop several days or weeks in advance and try clothes on days prior to the session so you don’t scramble last minute because something doesn’t fit right. Text me, email me, or face time me to help you make final selections. I’m always willing to give my input! Click here to read the “What to Wear Guide” for more tips on clothing! Get good sleep & prioritize kid’s nap time on the day of your session. 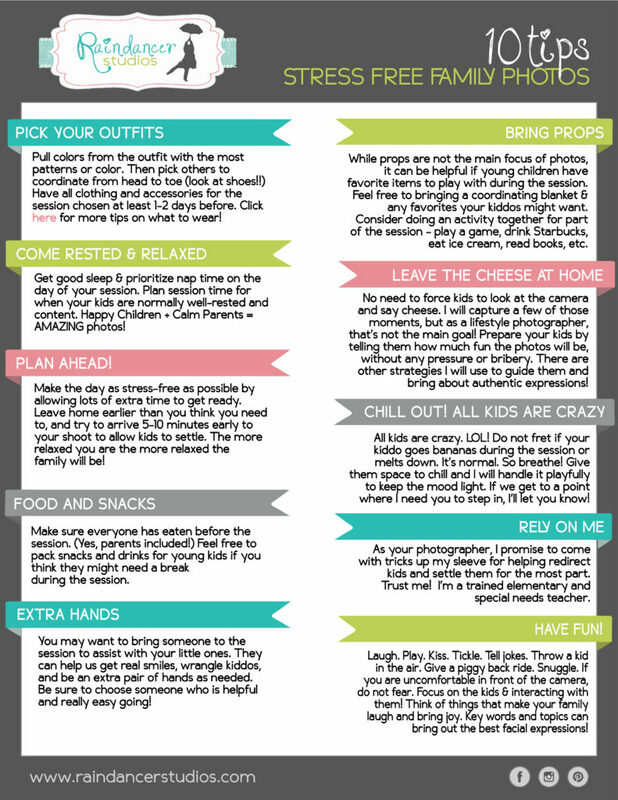 Plan your session time for when your kids are normally well-rested and content. Happy Children + Calm Parents = AMAZING photos! Make sure everyone has eaten before the session. (Yes, parents included!) Feel free to pack easy non messy snacks and drinks for young kids if you think they might need a break during the session or afterwards. You may want to bring someone to the session to assist with your little ones. They can help us get real smiles, wrangle kiddos if they are young, and be an extra pair of hands as needed. Be sure to choose someone who is helpful and really easy going! While props are not the main focus of photos, it can be helpful if young children have favorite items to play with during the session. Feel free to bring a coordinating blanket & any favorites your kiddos might have. (Leave any favorite items hidden in a bag to pull out later in the session!) Consider doing an activity together for part of the session – play a game, drink Starbucks, eat ice cream, read books, have a picnic, blow bubbles or something that you love doing together. No need to force kids to look at the camera and say cheese. I will capture a few of those moments, but as a lifestyle photographer, that’s not the main goal! I always start the session with the posed photos and then we relax and play. Prepare your kids by telling them how much fun the photos will be, without any pressure or bribery. There are other strategies I will use to guide them and bring about authentic expressions! I am a lifestyle photographer who thrives on letting kids be kids and capturing the real beauty of being a family. I want more photos of you looking at your loved ones and interacting with them. All kids are crazy. LOL! Do not fret if your kiddo goes bananas during the session or melts down. It’s normal. So breathe! I will probably take a quick photo of it, too! 🙂 Give them space to chill and lets try to handle things playfully to keep the mood light. If we get to a point where I need you to step in, I’ll let you know! Remember everyone is a little anxious about having photos taken after the getting ready process so be gracious and forgiving of the kids. Sometimes kiddos will need space to breathe and take a break. I try hard to respect that and then use my magic to reengage them after a little bit. As your photographer, I promise to come with tricks up my sleeve for helping redirect kids and settle them for the most part. Trust me! I’m a trained elementary and special needs teacher. I get kids and I know how to help guide them to do what I want. So please do not enter this session expecting the kids to act perfect. I will let them be silly and get out their nervous energies, too. Laugh. Play. Kiss. Tickle. Tell jokes. Throw a kid in the air. Give a piggy back ride. Snuggle. If you are uncomfortable in front of the camera, do not fear. If you usually do not like getting photos taken, just focus on the kids & interacting with them! The best thing you can do is to get in the photos and show your kids how much you love them and how great you think they are. That is the gift you are giving them and hopefully the photos will bring you all joy for years to come. Think of things that make your family laugh and bring joy. Key words, songs, activities, and topics can bring out the best facial expressions so come prepared with some in mind! 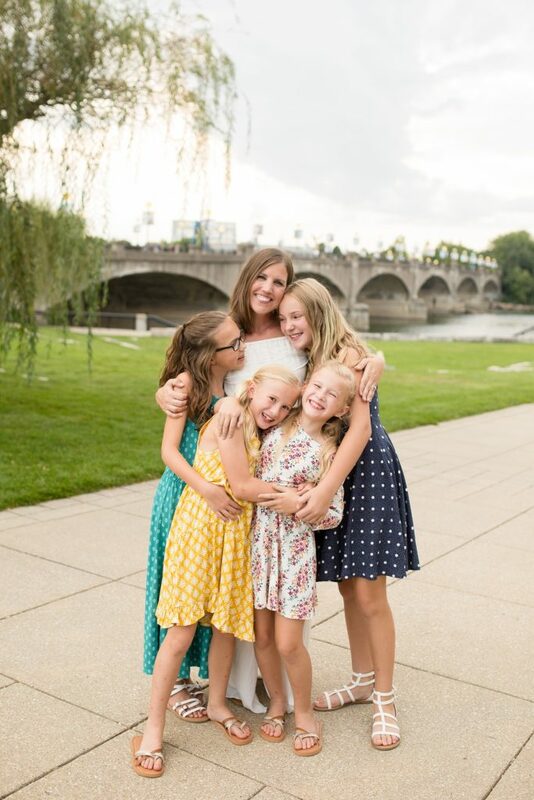 Jill Howell is a lifestyle family and children photographer in Indianapolis. Click on the following links for more info about Jill & to contact her!